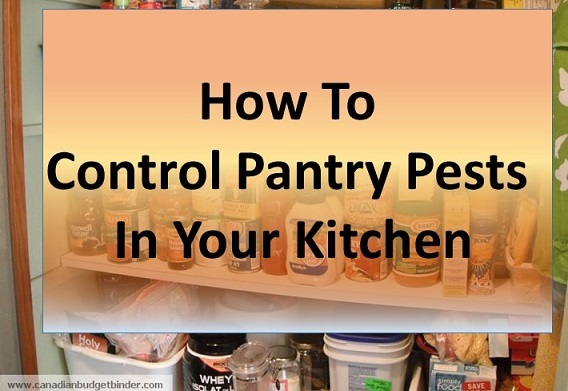 Pantry pests are the last thing I thought I would be sharing in the grocery game BUT it’s a very important part of your kitchen health and budget. Most families like to buy more than one package of pasta, cereal and other packaged goods especially if they are on sale or by using a coupon it’s too hard to pass up. The problem with stockpiling your pantry with food is that you MUST eat it. Some people seem to think that food will last forever if there is no expiry date and that’s just not the case. We haven’t been stocking up much on food the past couple of years because we have struggled to get through it and this past week was another sign as to WHY we won’t be stocking up any longer. We are very meticulous in the kitchen when it comes to using clips, cleanliness and making sure that food items are stored away properly. The other day though we were surprised to find a visit from the very pantry pests that we try to avoid, flour mites and weevils. They are more common than you think and unless you take notice you might even miss them. Although there are many types of pantry pests that can invade your kitchen flour mites/weevils are the most common and from what I read are harmless if eaten unless you are allergic. No, I don’t want to test that out either! The bugs thrive in warm spaces and love processed foods such as flour, pasta, beans, pancake mixes, semolina and other processed foods in boxes and bags. Just because a food product is sealed in a bag doesn’t mean you are safe from pantry pests because once they make an appearance they can poke holes in your bags and boxes gnawing away to get to the food. When my wife went to get pasta from our dry foods cupboard in the kitchen she was shocked to see the black bugs on the shelf. She is a big baby when it comes to bugs because he HATES them. I mean, REALLY hates them. She freaks out and calls me to remove a spider if she sees it. You didn’t need to use a piece of sticky tape on the outside of packages to see if there were any flour mites as we could clearly see them but that is one of the easier ways if you aren’t 100% sure if a product is contaminated. We took no chances and tossed the lot. If you do find something that you think is safe they recommend you put it in the freezer for a few days to kill anything off that might be lurking. Even though we had our pasta in the jumbo Ziploc bags we noticed they made pin point sized holes all over the bag. We saved nothing. I got a big bag and had to toss all the food into the bin. What a waste of money! Immediately I got a bucket of water and soap with a bit of bleach and cleaned all the cupboards out to make sure I had eradicated every last one of them. You can never be sure so give the space the twice over to make sure. Don’t underestimate where they will hide. I’ve also read that it is recommended to vacuum out the cupboard but you risk re-infestation if you don’t get rid of the bag. I opted just to clean everything very carefully. Some people like to put Bay leaves in their pantry and cupboards as this is supposed to prevent mites and since we have a full jar of them that is exactly what we’ve done. I’ve also put Bay leaves in our flour to keep the pantry pests from infesting that as well. I don’t know how well it will work but I’m taking no chances. The last thing you want is for them to keep breeding in your kitchen over and over again. Have a look around the counters, walls or anywhere else they may have gotten too just to be safe. I know it sounds disgusting, but it happens so it’s best to be prepared. Now we are taking even more steps to prevent this from happening again. We’ve since stopped buying in bulk certain products and will make sure that product is properly sealed and put in hard containers not just Ziploc bags. We’ve added in the Bay leaf to our flour and our cupboards and are making sure that all environments are kept cool and dry. When we grocery shop we will make sure to inspect products on the shelves before we buy them to make sure there are no sign of pantry pests of any sort. You can easily find them at the grocery store especially if stock is not rotated or packages are broken. Keeping all the spaces in the cupboards free from crumbs and other spills is another smart way to prevent pantry pests. If you have kids make sure to teach them the importance of sealing up products and provide bag clips which you can buy at almost any dollar store or even Ikea for $2.99 a bag. We bought a few bags last year since we are crazy about making sure everything is closed up. Don’t beat yourself up if it does happen to you because it doesn’t mean you have a dirty kitchen because these pantry pests find ways into your home when you’re not looking. Be smart and know what to look for and catch them before they breed and eat into your grocery budget! Have you ever had pantry pests invade your kitchen? What changes have you made to prevent that from happening again? NEW 2015!! 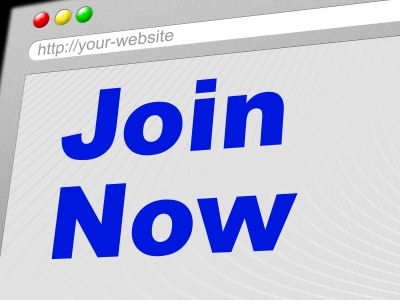 : Sign up today! >>> Homescan Canada! Now Accepting Applications from CBB fans! Join the Nielsen Homescan consumer panel today!! Read all about Nielsen Homescan here. I reset this for 2015 to see earning potential. Weekly Overview (your final thoughts): Since we’ve all been sick with the stomach flu called Gastroenteritis this past week we don’t need much in the way of groceries. My wife is still recovering but baby and I seem to be doing well. I didn’t pick up any coupons this week. Did you? How having a baby affected our budget : Shocking numbers! I love those smoked almonds you buy. Is that a must have on your grocery list? The first thing I thought when I saw your bananas was the price was high. I would love to see a photo of how huge they are. Is the taste ok though? Sometimes huge fruit amounts to crappy taste. Haha.. nuts make water taste better.. .omg I’m laughing out loud right now mate.. that’s too funny. I give ballots for a monthly prize of coupons. If you will be in Canada for May if you win I can send them once you get here if you are ok with that. 🙂 I think the incentive of being competitive is good. We all like to fight for something we can control especially when there is a prize of savings in our pocket in the end. Keep up the great work! You get ballot 23. Mr.CBB If you had another shop this month just remind me and I’ll give you ballots for them too. The bananas did actually still taste good….but they were fat too. My husband and I usually shared one, at a time. The cordial, not the nuts, made the water taste good 🙂 Is cordial a big thing in the UK? When I was a kid we had a Watkins man (sold house to house, like Avon), and my mother always bought some cordial. I guess the closest think in Canada, would be the Crystal Lites water flavour concentrates.
. After cream is frozen, can it still be whipped when it thaws? We’re still ahead for the month by half the budget, and trying to stay there as much as possible. We had a couple of stock up items, a couple of FPCs which added to the total. Stock up came from olives, soup, downy and bounce. Tax free day was an incentive to PM a couple of laundry items and get without HST. We has been saving superbucks RCSS gas coupons since we had been buying gas in Canada again. Can’t afford the exchange rate to US and we aren’t going over often at all, when we need bread (in a couple of weeks). Chips were a weakness and a treat. I’m ok with 3.00 total with price match and no tax. That way we won’t feel too deprived of some favourites, that always gets us to a breaking point at some point and then we just cave. So, small doses this time around. We were doing our best not to buy meat, but a great deal on the bacon, ribs and stewing beef. We will be happy to have those. Schneiders bacon at 2.98 is a rarity these days. Redeeming PC Plus points helped reduce the impact. A big week for us, likely the biggest all month. Looking forward to a leaner week this week. Hoping to just focus on fruits and veg. We’ve had to spend more on basics than we wanted to this month. I haven’t really thought about doing a meat order. It takes too much of a chunk of money at once with a very squeezed budget. If we gave up meat for a month, and set aside that money we would have spent, then perhaps it’s possible. I am currently hanging on to a gift certificate I got last summer for a butcher, it’s only $20, but it could mean a couple of ground beef packages. I do plan on using that up in February. Overview: 1st week – This week was a good week. I was way over on the cat’s budget but their hard food will last about 2 months so all is good there. Definitely needed more food that what I can afford but money only goes so far so we’ll have to make due. 2nd Week – This week, I’m attempting a meal plan for dinners and based our groceries on that plan. I’ll have to see how that goes for future shopping trips. We used quite a bit of the stock pile that we had so this week was attempting to replenish what I could. I wish I had 1 week of unlimited money and could really stock up on the food that we would eat, but that’s only a dream. I enter contests from time to time but so far I haven’t won anything yet. You never know… she was shocked! Right now the sunflower seed for the birds is in a lidded pail, the Niger seed is in a recycled peanut butter jar and the suet bars are in a coffee container, it holds 4 just nicely!! I recycle glass jars for the pantry, they wash up nicely and have a bit of a rubber seal under the lid. Give Little CBB a few years and he will delight in stomping on those bugs for Mommy!! Being in a very old house, we get ants every summer. I wipe down honey and syrup bottles every time I use them so there is nothing to attract them. I try very hard to keep things clean so they go elsewhere. As the ants get in so do other critters, spiders, and such. Worst are those centapedes…oh those are nasty!!!! I call one of the boys to get them for me, hubby is worse than useless there. He catches it and plays with the bug while yammering on about how harmless they are…..I….Don’t…Care… Just get rid of it!! NOW!!!! The older boy is in charge of the mouse traps in the basement as the cats are not allowed down there. If the mouse is stupid enough to come upstairs the cats will deal with it, serves it right. We also have a trap for the odd squirrel that gets into the attic, it gets released as far away as possible. I know that you are supposed to release within a mile of where it’s caught……they can stuff that one!!! Rotten little bugger will beat you home if it is let go that close to home….. Whether it is bugs or other nasty critter, it needs to be removed as they can cause damage to the house itself as well as your food. Wow that sounds like one heck of a mess. I’m going to seal up my bird seed now you have me worried. My wife is just like you.. freaks out. They are harmless. I’m going to see if I can find more plastic containers now for food in the pantry. I just don’t want to deal with the things I researched and just experienced AGAIN. As a country girl, we always had to inspect spaghetti boxes or cracker packages. Mrs CBB, it sounds like we have another item in common…no insects, snakes or other creepy items for me either!!!! Hubby is the great white hunter of spiders at our house too. I scream, he knows I am frozen to the spot waiting for him to rescue me! He’s not happy when it happens in the wee small hours though. LOL A garden snake brought out a blood curdling scream from the depths of my soul but when hubby wasn’t fast enough coming on the run…I did it a 2nd time! The neighbors must have thought I was being killed! LOL 🙂 So much for walking barefoot in the back yard grass! Oh yuck I am with your wife on this one hate bugs! I am so observant when it come to packets they are always inspected! Heard too many stories from my sister as she use to work in a superstore and would see these all the time! Guess what she never shopped there! Yes she throws a wobbler whenever she sees one even in the middle of the night. I no longer keep a stockpile anymore. I have learned that in my home the food just goes to waste. There are too many hungry people in this world to waste food. Honestly I had a visitor that stayed at my home for a few days and I was kinda embarrassed that my shelves were not fully stocked. I found myself explaining to her that I do meal planning and only purchase what I need for me and my daughter to eat bi-weekly. I look back now and realize how silly that was for me too feel house poor because my pantry was not overflowing. What was I thinking? I agree with you that there are too many starving people. Don’t be embarrassed if your shelves are bare and you shouldn’t have to explain. I never gave much thought to that. We have friends that don’t keep much in the house and shop a few times a week just like I did when I lived in the UK. Did your guest say anything to you? I remember a few years back, I was cooking some porridge, and some bugs floated to the top. I looked at my canister (it was clear glass) bottom, and I could see them. Now, every time I cook porridge, I look at the bottom. I have only ever had to throw away food twice because of bug. A box of macaroni, and the oatmeal. I think they came home infested…because nothing else was affected. So not bad after 37 years. It pays to look before you cook!! Hey I like that… I think you did good after 37 years!! How often do you clean your cupboards? not often (hanging my head in shame)…I would wipe up an obvious spill…that’s it. No one would ever call me a compulsive cleaner. We are planning on cleaning cupboards out more than we have now. We were thinking every 2 months… is that unrealistic? This is a REALLY tight month for us BUT I can make it work in combination with February’s reduced spending. I know I’ll be over this month but I am trying desperately to hold it to a very dull roar! I have decided that this year I am going to show the redemption of points in my summary BUT they will not serve to increase the cash reconciliation of our grocery funds spent. I am strictly balancing the cash funds that we budgeted for groceries that month. Last year, mixing the apples and oranges muddied the waters and made it difficult for me to both see & explain exactly how our budgeted funds had succeeded. This ought to paint a clearer picture. Check out what we actually ended up buying this week to see if we stayed on track this week! NO USA SHOPS UNTIL Feb 9th! TOTAL UNUSED RESERVES $992.50 … that is a $937.50 carry-forward from 2013 & 2014 and $55.00 in NEW 2015 savings Y-T-D.
We also have groceries that have been purchased using points redemption(s), rather than the budgeted cash, in the amount of $4.98. If our budget is truly sufficient, when we reach December 31st, those funds should still be available in the form of unused cash. It’ll be interesting to see if they actually are. Note: We also have another reserve of $173.07 AVAILABLE for our next US shop – currently scheduled for February 9th! I understand where you are coming from with the points and how you are wanting to see the actual numbers. I look forward to seeing that data as well. It’s not often we take the time to break down expenses as far as you are so I’m excited to find out just how well your year will turn out. I’m pretty sure it will be great but not without plenty of planning and hard work which you always seem to put into your finances. I really wanted to see just how much we were redeeming in points and using towards our groceries which I’m hoping to see at the end of this year. I miss Donna have you heard from her? Also I hope Beth is doing well, thinking of her as well. Do you have a recipe for your cabbage tomato soup please? P.S. I had a Christmas card from Donna but haven’t heard anything since. I assume Beth Anne is in the early stages of grieving and it will be a while before we hear from her. This sounds dead easy to make. I want to try it. Thanks for sharing the recipe here for me Mary. So far (knock on wood), I haven’t been infested but I grew up with having flour in the freezer, for that exact reason. My mom was big on Tupperware products and many of the products that she would buy ended in a container for future use (without the bugs). BTW, I received my Nielsen hand scanner last night and after reading how to use the machine and such, even my daughter is excited to use it. I’m thinking I might put our flour in the freezer as well too. I put bay leaves in the bag though. Great news that you got your scanner!! Make sure to share the post with your friends and hook them up. Let me know how it goes… I love feedback. We’ve had mice in our house from time to time, but I’ve yet to find anything hiding in our flour. We just keep the flour in the original bag, so if we did have a problem, it would be pretty easy to upgrade our system! Hope the pests stay away from now on because that’s gross! It’s amazing how those critters can get through the smallest cracks or when people leave their garage doors open in the summer… bam in they go!! I learned years ago to keep bay leaves in my dry goods after 2 similar experiences, one with weevils and one with a colony of ants and all their relatives! Now I keep small amounts in hard containers and keep larger quantities in the upright freezer which is handy to my kitchen. I absolutely hate throwing food away, shades of our years of rations in the UK before emigration to Canada. Interesting about the Bay Leaves and now I have them in our products too now. We actually have a bay leaf plant growing in the house. I hate throwing food away too. It was heartbreaking to do but it had to be done. I think I might do what you do. What kind of containers do you suggest to buy?